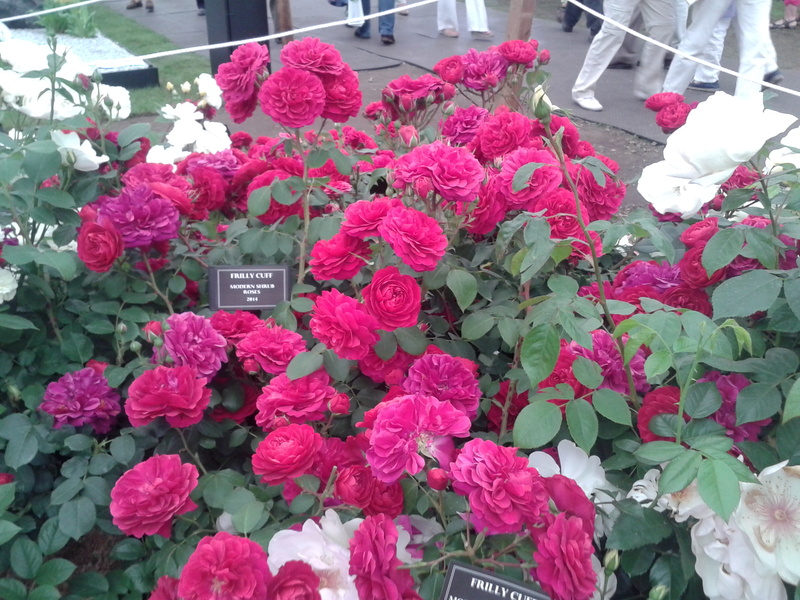 What a fabulous day at Chelsea again. I do love the theatrical horticultural buzz; I am pulled towards it every year. The most special moments for me are always catching up with old and new friends, especially from my years at Royal Botanic Gardens Kew. It is also nice but strange; how many people that I recognise now due to Social Networking sites, sometimes, we have never met before but they feel like close like-minded companions due to regular virtual updates and fascinating horticultural conversation. 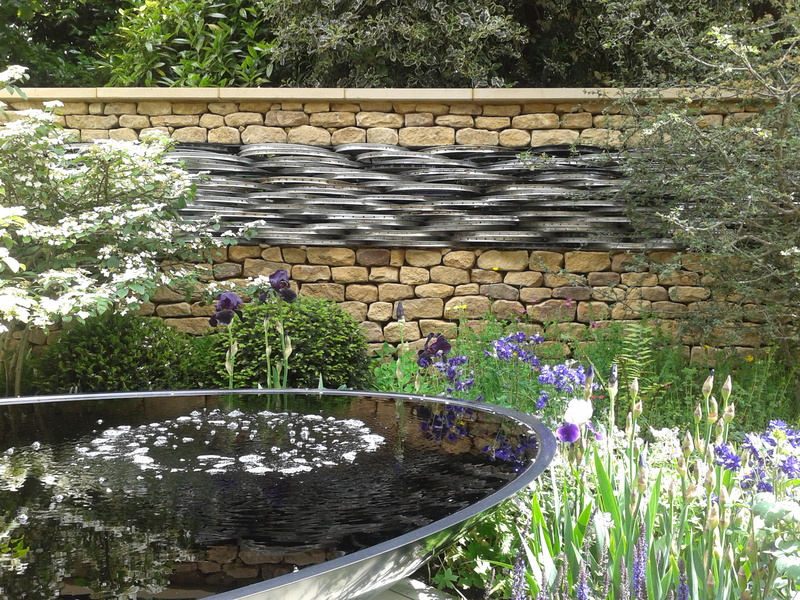 Above is a picture that I took of the water storage inspired garden designed by Hugo Bugg; the youngest Chelsea Gold Winner. It was nice to see some new young designers at the show. Above is a picture that I took of the gorgeous Le Tour de Yorkshire artisan garden designed by Alistair W Baldwin. I really loved the effect of the recycled bike wheels fixed into a section of the back wall giving a dramatic change in texture. 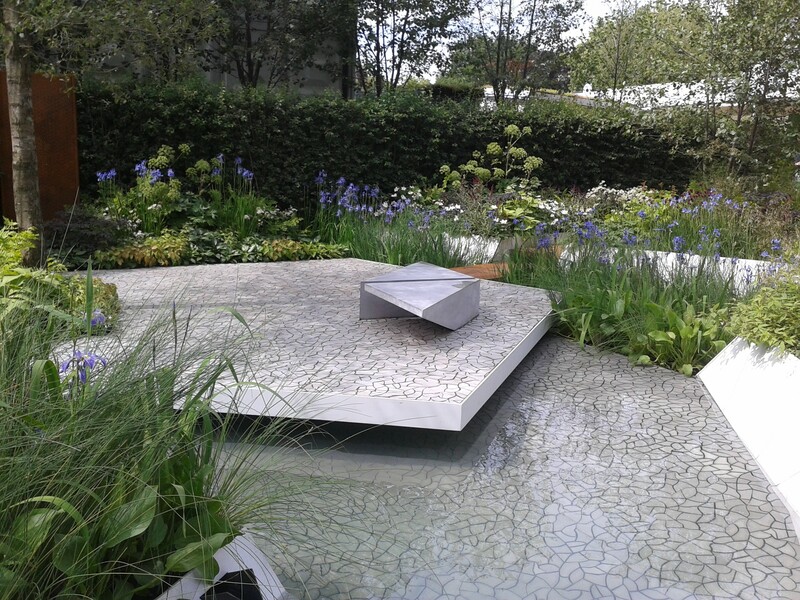 I usually find that I see more ideas and inspiration in the Artisan gardens at Chelsea, it is probably because the designers have such a small area to make an impact and that with the ‘artisan’ title the gardens are generally more craft-creative. I have to say that over all, the show gardens seemed to be playing it “safe”, but, of course it is a competition and everyone wants a gold. Since Chelsea, it has been ‘crazy-planting time’ in the garden plus quite unbelievably having to deal with a spurt of early fresh growth from plants meaning that summer-pruning of climbers like Wisteria, Vines and Roses is being encouraged much sooner than normal. This will be done whilst dreaming of Chelsea Flower Show 2015.